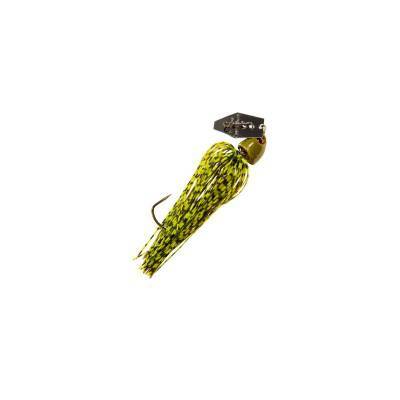 Z-Man Chatterbait Freedom Lure - 1/2oz Green Pumpkin. A partnership between Z-Man and Freedom Tackle has combined Z-man's bladed swim jig design with Freedom's proprietary advanced interchangeable hook design. The ChatterBait Freedom bladed swim jig allows for easy weedless rigging with a variety of soft plastic trailers using the 5/0 VMC X Long Wide Gap Hook, as well as more lifelike movement of the skirt and trailer thanks to its swinging hook design. Like other Freedom products, the bait is easily customizable, and hooks can be changed quickly and simply to provide the perfect match for various trailers and fishing scenarios.